Gaming is great fun. So it’s easy to see why we as hard-core gamers spend hours at our PCs and consoles trying to get that shot, obtain the target, get to the ultimate end level. PC Racing Chairs look awesome in a gaming set up but they’re also essential if you want comfort. But how does the ZQRacing V6 Racer series gaming chair differ from other gaming chairs? Look for gaming chairs made by businesses that are Australian owned and operated. Any product that is Australian-made must follow a stringent set of manufacturing guidelines. This means you can be certain that your gaming chair is made from top quality materials using above-standard practices. Not all chairs are backed by a good warranty or structural guarantees. ZQRacing Bathurst chairs are made from industrial-grade PU leather, or carbon-vinyl strips and high-density foam for maximum comfort and style. That’s why ZQRacing back their gamer series gaming chairs with a two-year warranty and a lifetime structural guarantee. For maximum comfort and gaming staying power, look for a chair that’s suited to your particular body type. Not all chair makers offer a range of different sized chairs. ZQRacing offers Classic Fit, Wide and Tall, and Big on Comfort, helping you to find the best PC racing chair for your needs. The series within the Classic Fit includes Gamer, League, V6, and Hero range, which is suitable for gamers with slim to average height and weight. For taller, stockier gamers, the Wide and Tall series is perfect. The range includes Alien, Alien XL, and Ultra Series. These racing chairs have extra wide backrests and deeper seat bases for optimum gaming comfort. The Big on Comfort comes in the Hyper Sports range. This range features extra thick padding on the side and seat bolsters for extra comfy back support. It also comes with neck and lumbar cushions and a footrest. Our society is still too focused on one-time use products that are cheap to buy but don’t last long which means they end up at the tip and ultimately dumped in landfill. 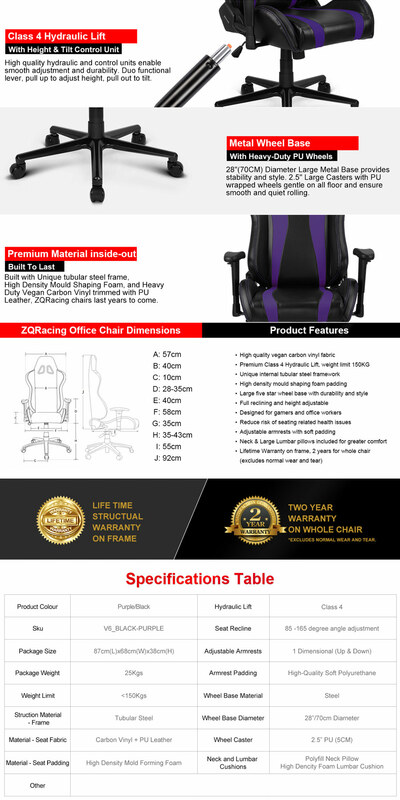 ZQRacing chairs are made with quality and style. They last longer, which means you get maximum years of gaming from them. Quality means environmental sustainability. Investing in Australian owned and operated business is good for the environment and good for our economy. 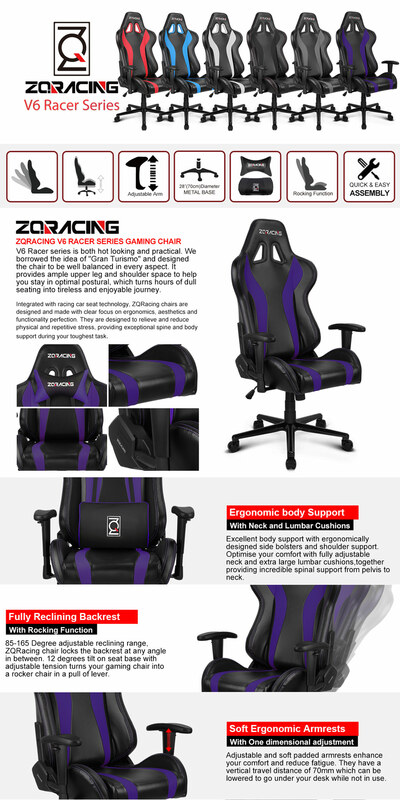 Serious gamers, check out ZQRacing for the ultimate Bathurst chair.